On April 7, Sled Island will announce our exciting second wave of artists for the 2015 festival! To celebrate, we're headed to Local 510 for a free Sled Island Music Video Party featuring videos from 2015 festival acts, with DJs to follow. It's a great way to get acquainted with our lineup and party at the same time! 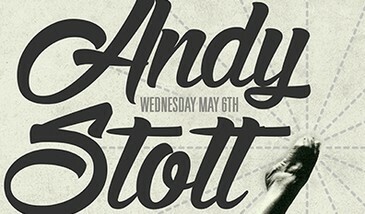 Sled Island and The Hifi Club are ecstatic that critically acclaimed UK producer Andy Stott will be joining us for a Pre-Party on May 6! Stott has gained international respect for his jarring fusion of industrial harshness and choral beauty, and we couldn't be more thrilled to have him in Calgary for this special event. Tickets are on sale now. 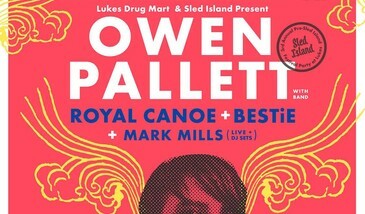 Sled Island and Lukes Drug Mart are excited to announce the third annual Sled Island Pre-Party featuring Owen Pallett, Royal Canoe, BESTiE and Mark Mills. Best of all, the event is free, outdoors and open to all ages! Warm up for Sled Island with an afternoon of fun in the sun! Each year, Sled Island’s Green Island team works to minimize the festival’s impact on the environment, achieving a greener Sled Island and a greener Calgary. Want to get involved? Now's your chance! 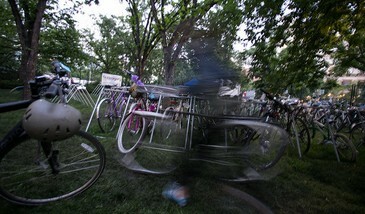 We're hiring a Green Team Coordinator and a Bike Coordinator. 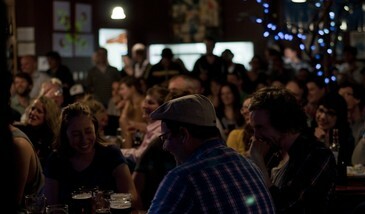 Sled Island loves local comedy! We’re teaming up with two of Calgary's top comedy nights to present special showcases featuring their favourite local talents. We’ll be visiting these shows to scout out this year’s Sled Island Comedy lineup, which means performers will be pulling out all the stops! Expect top-notch sets from some of Calgary’s best and brightest. Jupiter Comedy has hosted a weekly sold-out show at the Oak Tree Tavern for over three years, and now they're branching out with a new weekly show at the Nite Owl. Everyone who comes through town wants a couple of minutes on their stage—you never know who’s going to show up (past guests include Bob Odenkirk and Key and Peele)! Hosted by Eric Steel. If you’re a fan of stand-up comedy, this show was created for you. Only new material is allowed at Red Carpet Comedy, making for a highly entertaining mix of moments that are incredibly funny, plus some that need a bit more work! For this special showcase, however, comedians will be bringing the finest of their Red Carpet Comedy material, telling their best jokes from previous shows. The show will feature Brittany Lyseng, Jeff Kubik, Derek Adams, Kristina Scaman, Tommy Mellor, Brandon Craig, Ben Cannon and Amy Bugg. Hosted by Jeff Toth. Sled Island is thrilled to announce its first wave of 2015 festival artists. In addition to previously announced guest curators Godspeed You! Black Emperor, Sled Island will continue in the tradition of bringing you some of music's most beloved and respected minds with such acts as post-punk legends Television, the recently reunited Drive Like Jehu, Mary Timony of Helium and Wild Flag's Ex Hex, doom pioneers Pentagram, fuzzed-out stoner rock icons Fu Manchu and the ruthlessly highbrow Oxbow, while continuing to bring more contemporary and growing talents like the furious noise rock duo Lightning Bolt, neo-garage maestro King Tuff, Calgary's own Viet Cong, the ragingly grotesque Pissed Jeans, breathtaking jazz ensemble Jaga Jazzist, word whiz Black Milk, haunting electro-folk act Hundred Waters, digital composer Son Lux, eerie popster Lydia Ainsworth, ripping partiers The Coathangers and the affectingly broody Iceage. One very special booking for 2015 is Daniel Lanois, who will be doing a residency and artist talk at the National Music Centre, culminating in an intimate performance of his pulsating ambient work from latest release Flesh & Machine later in the week at Republik. This exclusive engagement will uncover his one-of-a-kind journey through music and provide a look at his enduring brilliance in the field. Now, we are extremely pleased to announce Godspeed's list of eclectic and well-balanced selections, including Kim Gordon's latest band Body/Head, avant-jazz renegade Matana Roberts, garage and folk icons Fred & Toody, indelible songwriter Carla Bozulich, Constellation Records "supergroup" Avec Le Soleil Sortant De Sa Bouche, the bombastic Big Brave, lauded folk act David Dondero and anarchist jazz punks The Ex, we welcome you. 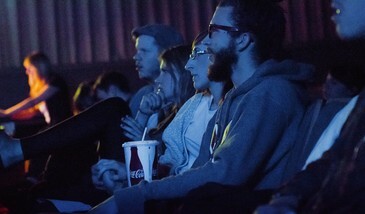 Thanks for sharing our joy in revealing this first peek at Sled Island! Expect a lot more to come, spread across our festival's 30+ venues where we bring you big talent in small spaces. A pass is the best way to experience the festival and can be purchased today. See you in June!